49 sq. 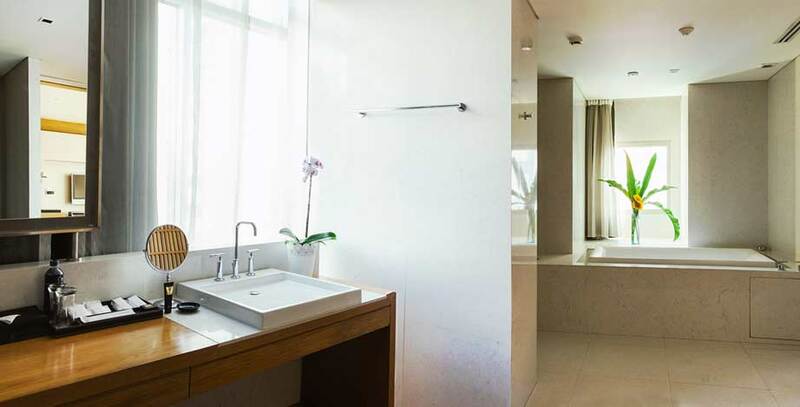 meter room is fitted with an extra large bathroom, king size bed, walk-in wardrobe, and infinity spa jacuzzi. 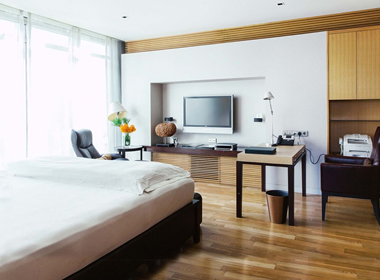 The room facility also includes 42-inch flat screen TV, DVD/CD player and Bose sound system. Enjoy our complimentary mini bar or savour fresh coffee with your own in-room espresso machine while you relax in your home away from home. The extra large bathroom with Jacuzzi offering a comfort like home makes this room very popular with single travellers. Maximum occupancy in Maduzi Classic is two adults. If you would like a third person, please choose Maduzi Deluxe, Maduzi Corner Suite, or The Maduzi Suite. Maduzi Hotel Bangkok © Copyrights 2016. All Rights Reserved.